The 30’s were a time of hardship all across the USA with the Great Depression bringing communities to their knees and the strife and pain of poverty and famine recorded in journals and diaries and of course in song, all across the country. Some of what are now regarded as the finest and most influential musicians in the world created a rhythmic sound during those years and sang of their troubles, a sound we now think of as the blues. The guitars used to play this music weren’t fancy, or ornately decorated or adorned with expensive lacquers, they were straightforward and functional, but in a lot of cases these instruments were still quite precisely engineered for the day. With a really significant cost to the musician in those days it meant that guitars of this era had to play well and last a long time, often to be passed on through family generations. Here at Tanglewood we love legends as much as we love making guitars, so we have to talk a little about our collective inspiration and the Deep South of America is the starting point for our tale. According to the myth handed down over the years, a young musician from rural Mississippi named Robert Johnson wanted to become an amazing guitar player. So one night, on instruction, as legend has it, he walked to a cross junction in the roads supposedly near the Dockery plantation & met a man, who it is said was the Devil. Here he was shown how to play like no one had ever played before, in return for his soul. A pretty big price to pay! Robert certainly did play very well and for the next few short years of his life, became a massively influential player, but he suffered terribly as well and died of poisoning at the tender age of 27 years old… all adding to the legend of course. But his light shone brightly in those few years and the world was left with an influence stretching far beyond the tragically short time the man actually lived. So for you our Crossroads series has been created with care and love, and we hope a little bit of Tanglewood magic, so you the player can start your own musical journey without compromise. We look forward to that legend! Four models in the range, a 000 Folk & Dreadnought Acoustic with an EQ equipped version of each also. Crossroads could be the start of your success! Leading the introduction of this range are the Crossroads TWCR O (UK RRP 139.95) and the Crossroads TWCR D (UK RRP 139.95). Being one of Britain’s oldest established music stores, we’ve seen one or two guitars over the years. This new Crossroads model is the best quality and value we’ve seen in literally decades – Well done Tanglewood. Crossroads are exactly what a great guitar should be. They sounds authentic, look authentic and even have depression era pricing. We sell a lot of guitars here in Whitby and we’re knocked out that we can offer a quality Tanglewood instrument at this amazing price. Crossroads is a real treat for our loyal customers. Classic Design, Outstanding Value. Ideal for the surf dudes of Cornwall! Let’s make a bold statement to describe the new Tanglewood Crossroads guitar. In our humble opinion here at Wildwire, these guitars are simply the best value for money that you can buy anywhere near this price point. The Crossroads is an ideal starter guitar. It is solid, reasonably priced and above all great sounding. Making it perfect for anyone starting their musical journey. The new Tanglewood Crossroads Electro Acoustic guitar is an absolute winner, looks, feels and plays way above its price! Ridiculously great value for money! Come and be amazed. The real test of a good guitar is the customers response and with the Tanglewood Crossroads, the response is always WOW! We couldn’t believe what the Tanglewood Crossroads sounded like for the price. It’s truly unbelievable. If you are looking for a new guitar on a budget then you really can’t beat this new guitar range from Tanglewood. 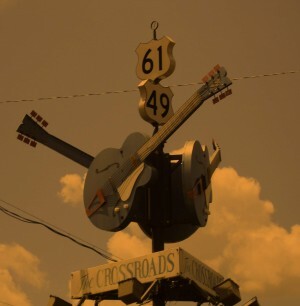 You won’t find better than a Crossroads guitar. If you trust us and trust Tanglewood and are looking for a guitar then this is the one for you. This is the best guitar in the shop for the money. I honestly don’t think we could sell you better. WOW….just WOW! You have to play it to understand what you are getting. Feels great, looks great, sounds better! They’ve really done it now at Tanglewood. This is the best guitar we’ve had to offer our customers that we can truly stand behind and say this is the guitar for you. In our opinion the Crossroads guitars are awesome and at the price are an absolute no brainer. Just come and try a Crossroads. You will not be disappointed! We have the Crossroads guitars by Tanglewood because we don’t think you can buy anything better with your hard earned money. 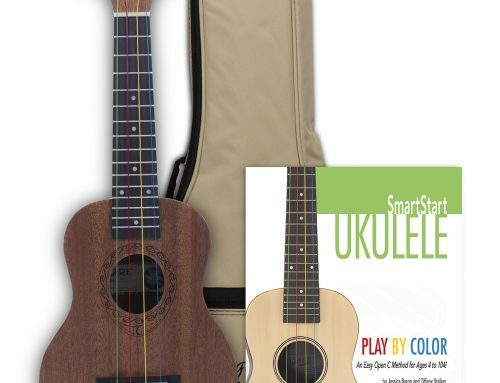 What this guitar offers is the ability to play on a great guitar from the start if you are a beginner or on a budget. It’s the real deal for less money. Don’t think just buy. We promise you will be a happy customer if you buy a Tanglewood Crossroads. We think the Tanglewood Crossroads is a guitar that will offer you a great start in your guitar playing future. The Crossroads is the real deal! You have to consider this guitar if you are wanting a quality built guitar from a quality company. I couldn’t suggest anything better for the money. Best guitar available in this Price Bracket. Great Guitars. Fantastic Value, I can’t stop selling them! The Crossroads range offer fantastic value for money and they are sure to be a very popular instrument; I wish I’d had something this good when I was starting out!